Twenty-three coal trimmers who survived the sinking of the 16-year-old cargo-liner Vestris in a gale off Hampton Roads on Nov. 12, 1928, said they knew the ship was doomed the day they left New York harbor on what was to have been a voyage to Barbados and Buenos Aires. The sailors, rescued by the French tanker Myriam, said the Vestris steamed from Hoboken with a coal port jammed partially open about four feet above the water line. Once the ship encountered high seas in the open Atlantic, it began taking water faster than the ship’s pumps could handle it. The coal trimmers told authorities of working in water sometimes up to their necks in the flooded engine room, struggling to keep steam up so the captain could send an SOS. For some unexplained reason, the captain refused to summon help until it was almost too late. Crew member Evans Hampden said: “All day Sunday we urged an officer to tell the captain to send out an SOS but we were told the captain could not be moved. He said the water got so deep that the starboard boiler flooded. Lifelines had to be stretched to the port boiler so the men could swim along the sloping deck. Two trimmers held a third man who had the shovel just to get coal in that boiler. They knew if that boiler flooded and went out, the ship’s radio would go silent and there would be no chance of being rescued. The SOS was not sent until Monday morning. By that time the ship was listing so hard to starboard workers in the galley were unable to prepare meals for the 129 passengers and 196 crew members. The list grew worse as first the cargo and then the coal in the bunkers shifted. The Vestris, a 511-foot-long liner, had seen finer times from the day it was launched at Belfast in 1912 for the Lamport and Holt Line. Passengers enjoyed ornate public rooms and the latest conveniences that included electric lights and forced ventilation. Her early trips involved Atlantic crossings. During World War I Vestris was chartered to carry United States medical personnel to France. While in this service the ship narrowly missed being struck by a torpedo in the English Channel. Vestris suffered fire damage at sea in 1919 when a blaze broke out in the coal bunkers. The ship was escorted to St. Lucia by the HMS Dartmouth and the passengers were housed ashore for 10 days until they put the fire out. 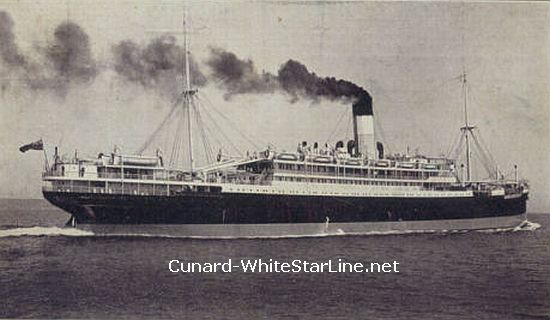 Vestris was chartered later that year to the Cunard Line and operated trips between Buenos Aires, Liverpool, New York and back to Buenos Aires. She was chartered briefly to Royal Mail in 1922.